Burgundy red, mint green or lemon yellow – the colors we use to decorate our homes are a matter of personal taste. But, until recently, home-improvement enthusiasts in South America – unlike their counterparts elsewhere – had no chance of buying custom colors in home-improvement stores. But with the support of WACKER POLYMERS, an American manufacturer of paint-mixing machines is taking a new approach. An automated mixing system can produce personalized colors and different qualities as quickly as mixing a cocktail. Instead of mixing conventional, usually white, paint with pigment pastes, this new process produces the customized paint directly from the raw materials. The paint-mixing machine draws pigments, additives and a VINNAPAS® binder based on vinyl acetate-ethylene copolymer (VAE) dispersion from different tanks and feeds them into the paint formulation. Since the paint is freshly prepared, so to speak, retailers don’t need to stock large amounts of it. 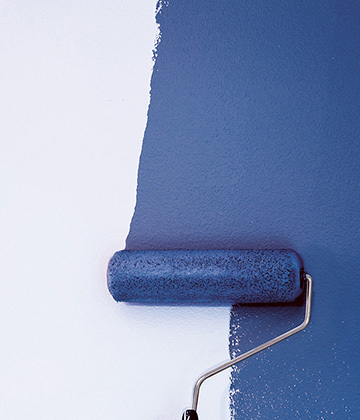 “Paints made with VAE dispersions also have low emissions and low odor. That makes them ideal for decorating living and work areas,” says Cristiane Fagundes, head of sales and marketing for construction polymers in South America. The paint-mixing system has meant a minor revolution for South American home decorators. It offers a variety of options for individualized wall decoration, with permanently bright paints that also do not pose a hazard to health. “We see enormous potential for our VAE dispersions, since the regional market increasingly demands quality products,” says Fagundes. 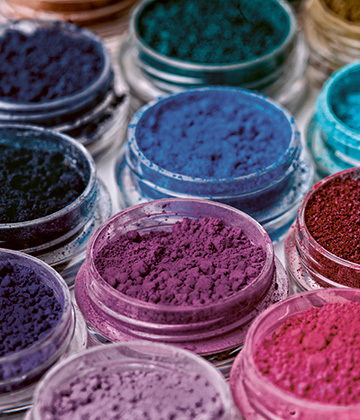 And that is what WACKER supplies, in all the shades of the rainbow. Interior paints take on a variety of vibrant colors, thanks to binders from WACKER. VINNAPAS® ensures the required adhesion of the pigments in the paint.